The branch at 167 Whiteladies Road will be running demonstrations between 11am and 4pm on both Saturday 16th and Wednesday 20th April. While it’s not too hard to make individual chocolates, Easter Eggs are a little more tricky…but the Kitchens team will show you how its done. And if you fancy turning your hand to chocolate moulding at home afterwards, you’ll be able to buy everything you need from the store, including Easter Egg and chocolate moulds, as well as wrappers and gift boxes so that you can turn your creations into gifts. 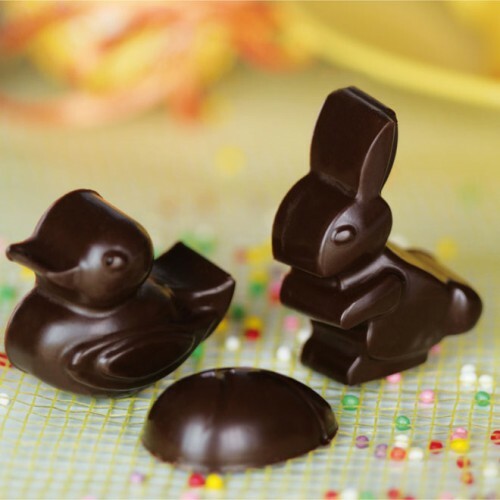 I particularly like the Easter chocolate moulds available from their online shop – pic below!